Lots of blue to go along with Little Miss's eyes and shirt. Lots of Pebbles here, including that blue ribbon. I love these Pebbles spools of ribbon. The border was punched with one of my new Kreaxions punches. I guess that is enough for now. We are watching Wall E and eating ice cream. The air conditioner is pumping, so all is right with the world :) Hope you're all having a great weekend! It's so hot here too!! 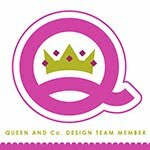 I love your layouts and cards!! So beautiful!! Thanks for sharing!! hi! thank you for your kind comment on my layout!! i love your blue layout and it makes me want to try monochromatic layouts! i never tried but i will soon! congrats for winning the echo park price! 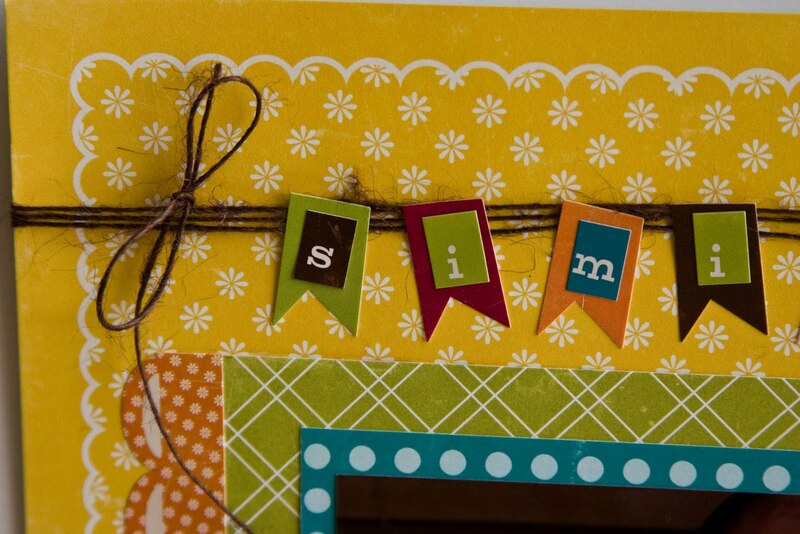 i am using their summertime line to do a layout for pencillines right now!! eating ice cream and watching funny movies are the best remedies against heat!! have a great sunday!! Okay...it's not THAT hot here. Now I feel a little bad for complaining about the heat, LOL!!! Sounds like you are staying cool. 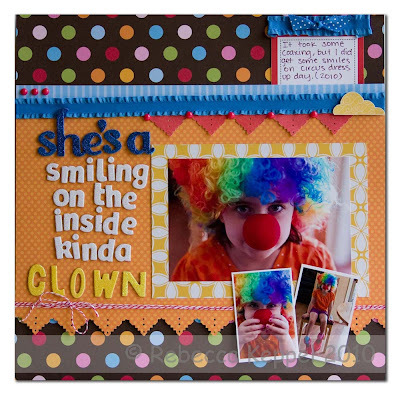 And great projects, I love all the cards and my favorite layout is the clown layout. Love it! goodnes me Rebecca that blue one i sstunning and your clown one!!!! jawdroppingly fabulous!!!! we are so on the same page...i am heading over here and i see your post! and hello hot stuff! your new profile pic...omg...gorgeous! Wooo-Hoooo, on the Echo Park toot! That's way cool... I missed that (prolly cuz I still never got any of Walk in a Park to play with yet)! That's awesome... the third line coming out ROCKS too! Lucky girl! Love these fabulously fun and colorful pages! You all have cheerful bright pages that make me smile! What adorable layouts, of course with such an adorable little face..how can you go wrong? Crank up that AC is all I can say about the heat. Oh, and I'm really glad I don't live in heat like that anymore. Love all you did with the Echo Park goodies. They are so fun. I am so over this heat, too bad we still have about 3 more months of it. Super cute! Hope you stay cool!!! 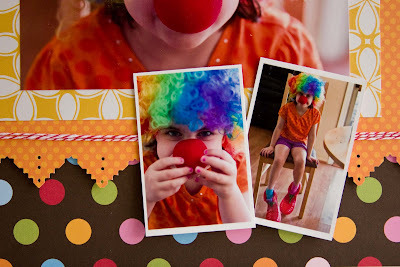 Beautiful projects...especially love the clown one...so fabulously colorful!